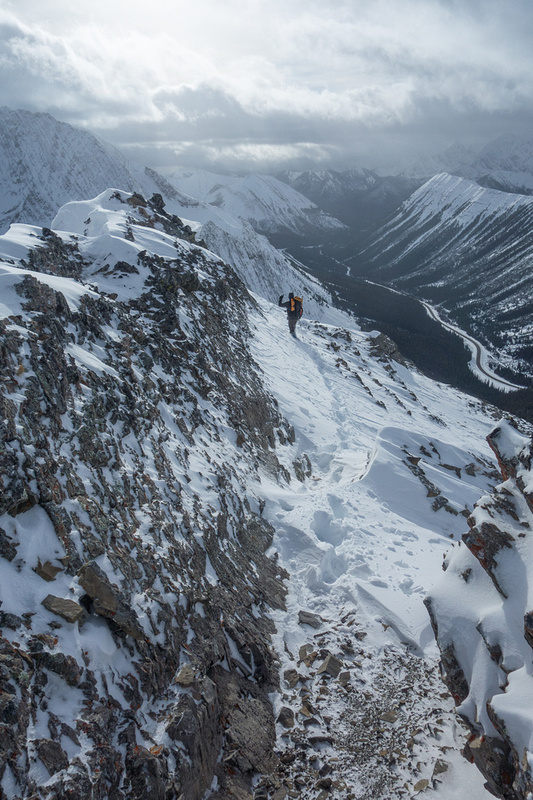 Difficulty Notes: Steep, loose terrain if you take our route. There is a better route slightly further south to take in the summer. 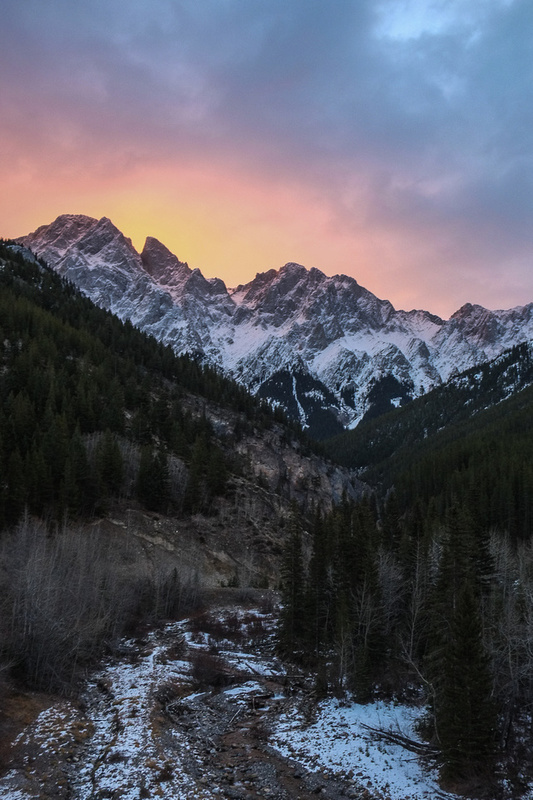 During the shoulder seasons in the Rockies, as a peak bagger you have two choices. You can either sit and home and whine about not getting out or you can try to make the most of it by bagging smaller objectives that you wouldn’t bother with normally. Wietse and I have been choosing door #2 for the past few weekends and this one was no different. 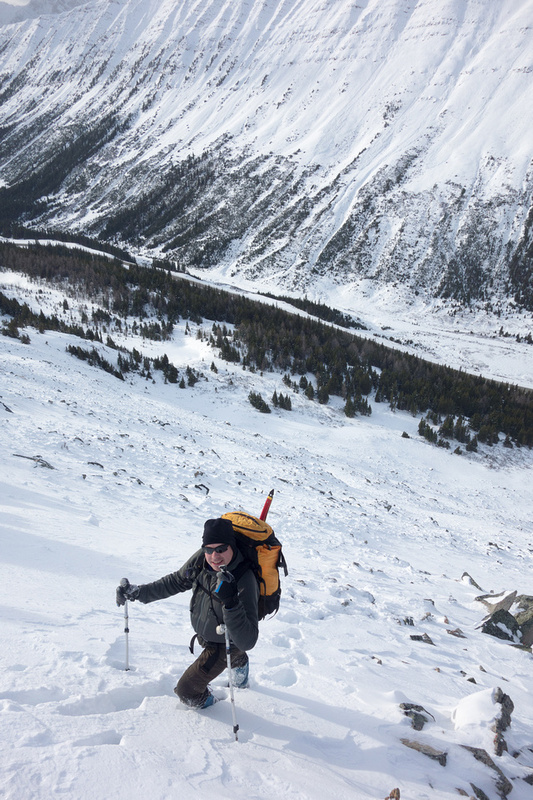 The Highwood Pass closes for traffic on December 1, so most people try to take advantage of early season snowfall and ski areas like the Rae Glacier before the road closes but Wietse and I decided that rather than wreck our ski gear we would try hiking at the pass instead! Looking up Evan Thomas Creek towards Fisher Peak on the drive up. The morning light kept improving! I wish I had taken more time to get a better vantage point for photos! This is Opal Ridge seen from the Galatea Parking pull out. Little Arethusa sits just west of the main peak and is reputed to be easy and have wonderful views so we decided this was the perfect objective. 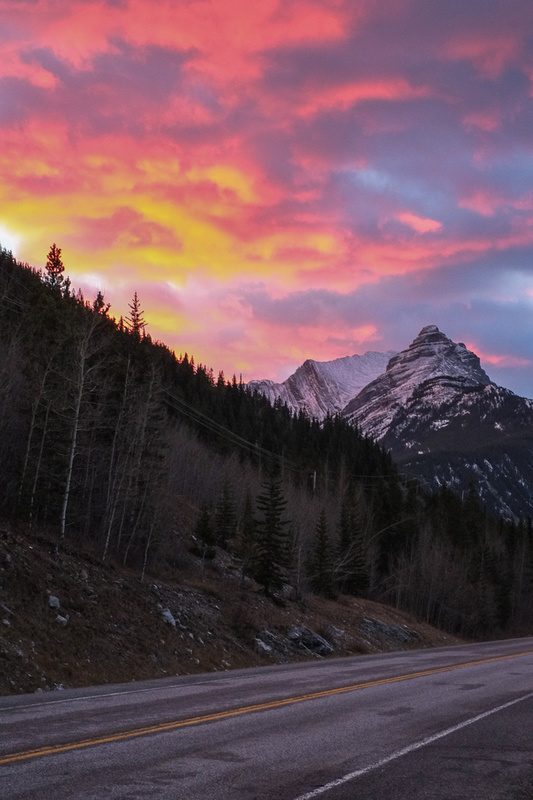 The drive up to Highwood Pass was beautiful with some surreal morning light. Due to thick fog and the distraction of the morning sunrise I was almost 30 minutes late, but Wietse was patiently waiting for me at the parking lot. 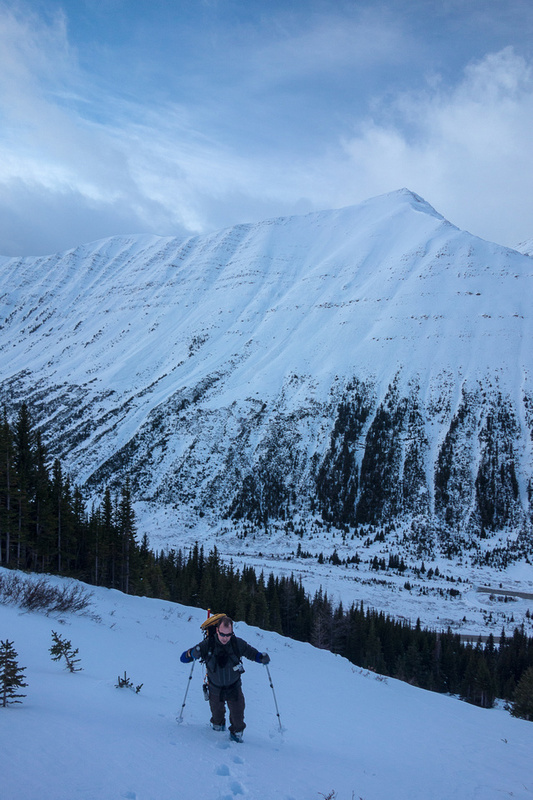 Originally we planned to approach via the Arethusa Cirque trail but Wietse had been looking at the west slopes from the parking lot for 30 minutes and decided we should go straight up from there. I agreed. 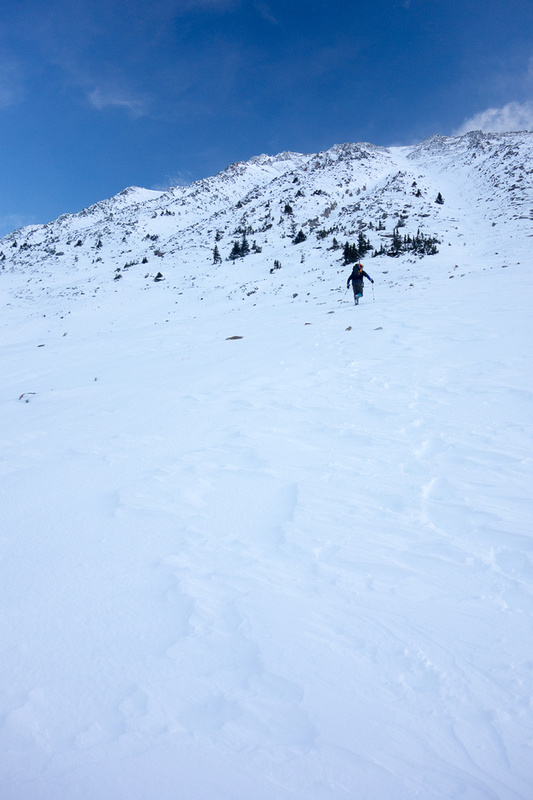 Above tree line and heading for the couloir that we avoided on climber’s right. We chose a steep gully through the trees and it worked out perfect. 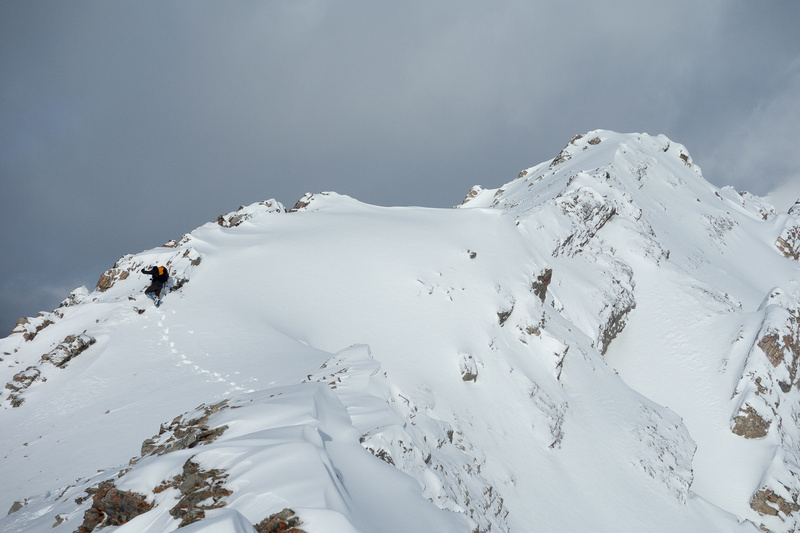 When we got to the bottom of the west face we decided to simply go pretty much straight up it rather than traverse climber’s right to the southwest ridge. 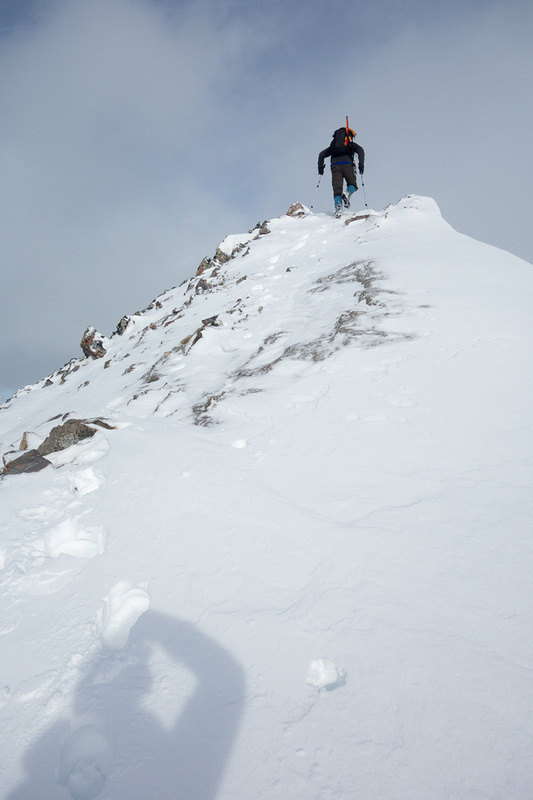 The rocks were a little slick with snow but we managed to gain the ridge higher up than we originally planned. Panorama with Storm on the left and Highwood Ridge on the right. The final ridge walk was awesome with great (snowy) views of the surrounding peaks including Tyrwhitt, Pocaterra, Rae, Arethusa, Storm, Mist, Storelk and more. Of course the snow added to the drama. 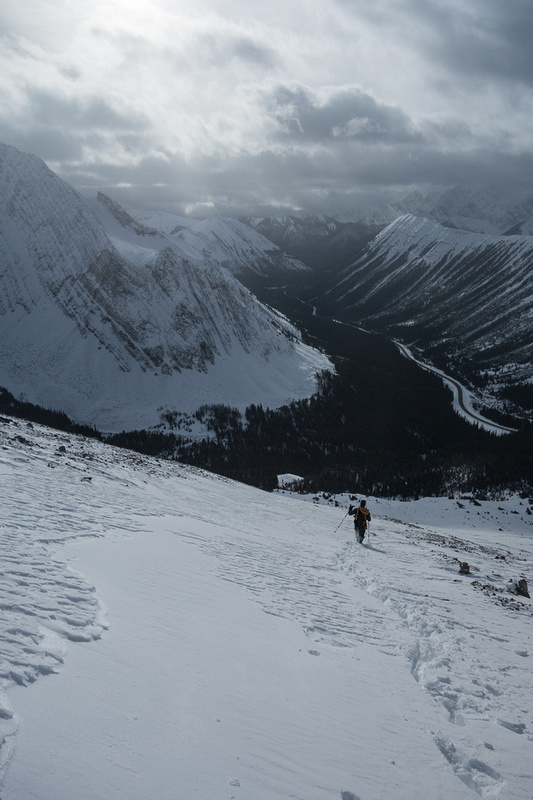 After snapping a few nice summit shots we headed back down to escape a rather cool and fierce wind. I highly recommend this little peak for an off season objective. The views are awesome and with some snow it seems a lot bigger than it is. 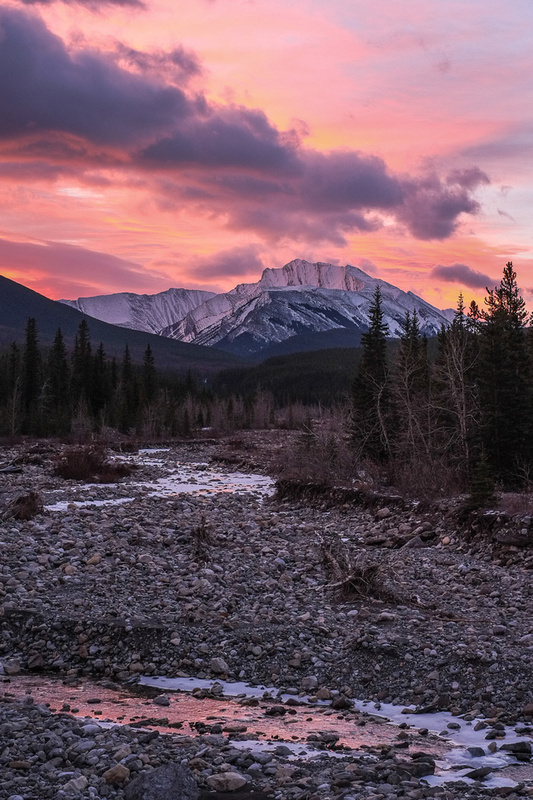 King Creek with a surreal glow behind the Opal Range. Looking at Little Arethusa from the parking lot. We went up the gully to the right of the stop sign. Wietse breaks trail near tree line. 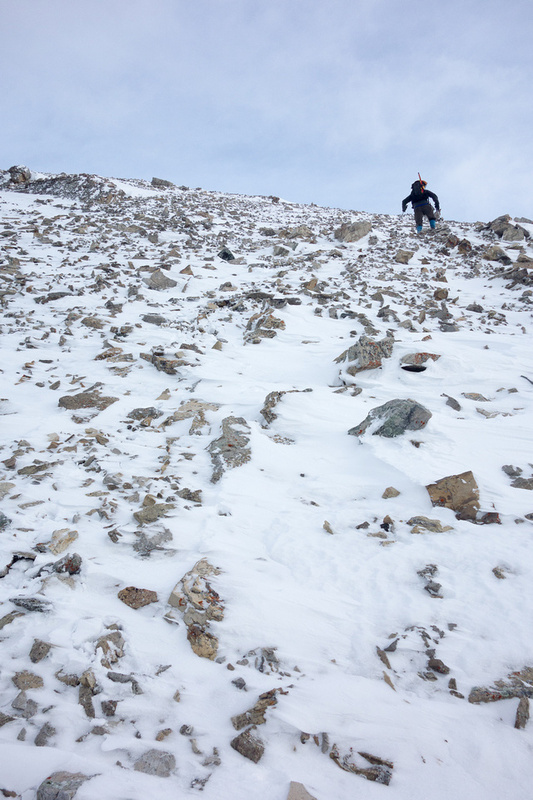 Originally we planned to kick steps up the couloir but it was too icy and we didn't trust the snow so we went climber's right of it. My turn to break trail! The parking lot is just visible on lower right. Above tree line and heading for the couloir that we avoided on climber's right. Great views of Highwood Ridge. Mist Mountain on the left in the far distance. The slope was fairly steep. Pano from the traverse to the summit (on left). Arethusa at the center. 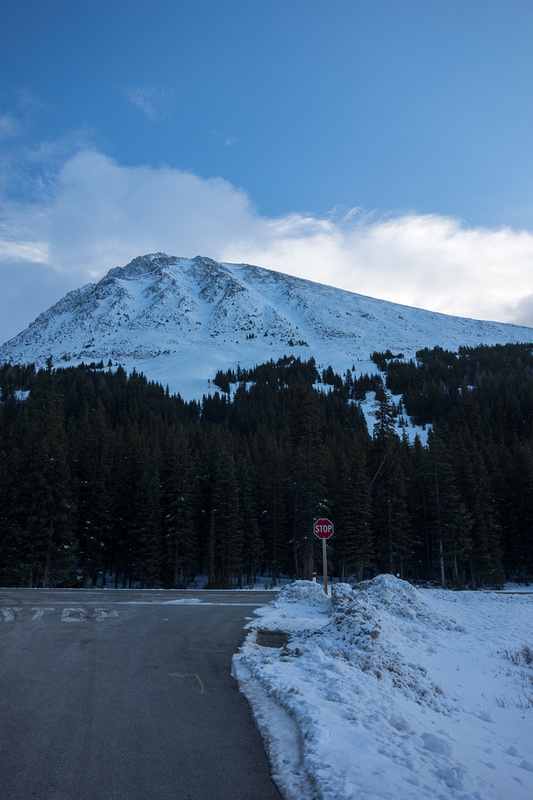 The final stretch to the summit looks dramatic with snow. It wasn't difficult though. Impressive views from the summit ridge looking back down Hwy 40. Looking south to Storm Mountain. 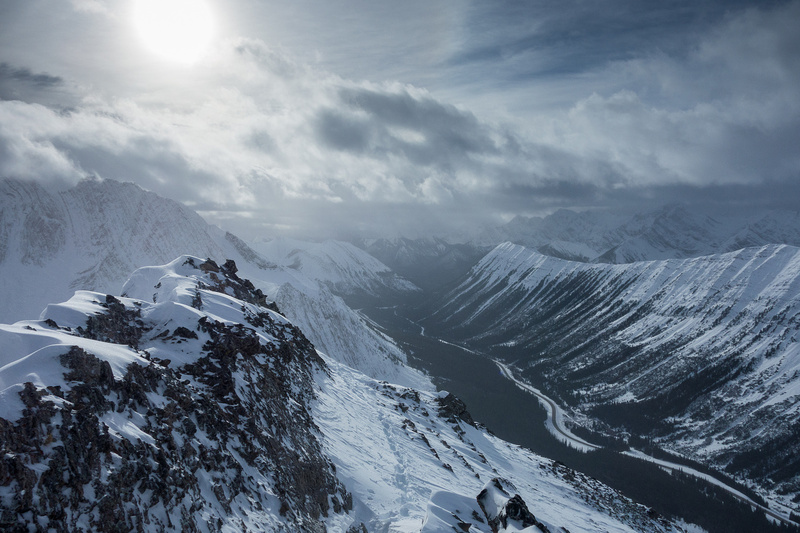 Panorama of Mount Rae from the true summit. 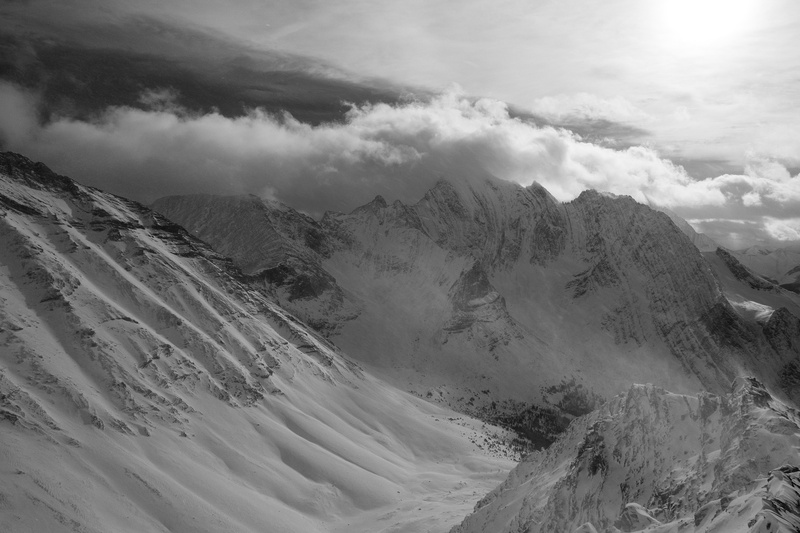 View off the ridge with the summit of Little Arethusa on the left and Arethusa on the right. 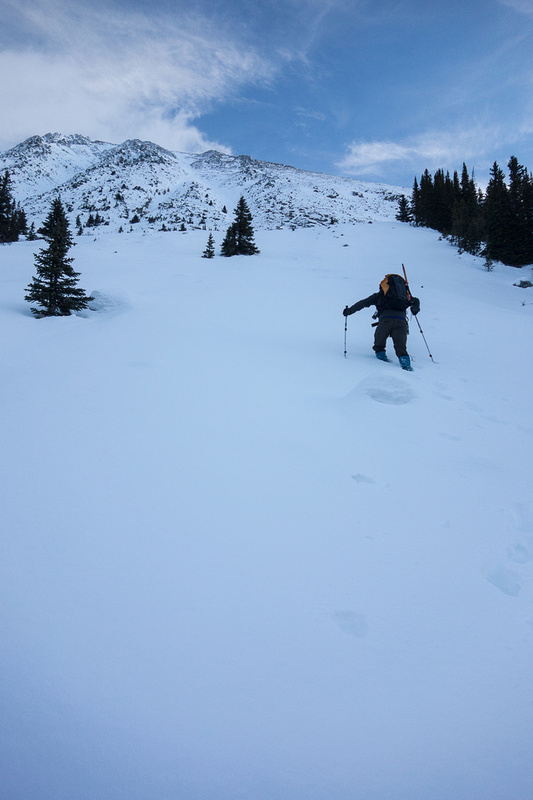 We descended the Southwest ridge to tree line before contouring skier's right back to our ascent gully and the parking lot. The weather started closing in as we descended.